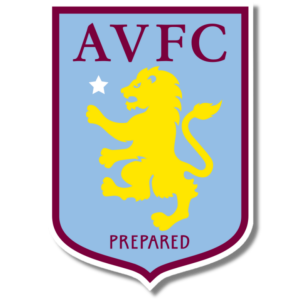 Add your Aston Villa Football Club Badge stampette logo to your Facebook and Twitter page and show your support for The Villa. Aston Villa were founder members of The Football League in 1888, and also founder members of the Premier League in 1992. They have won the First Division Championship seven times, the FA Cup seven times and European Cup once in 1982.